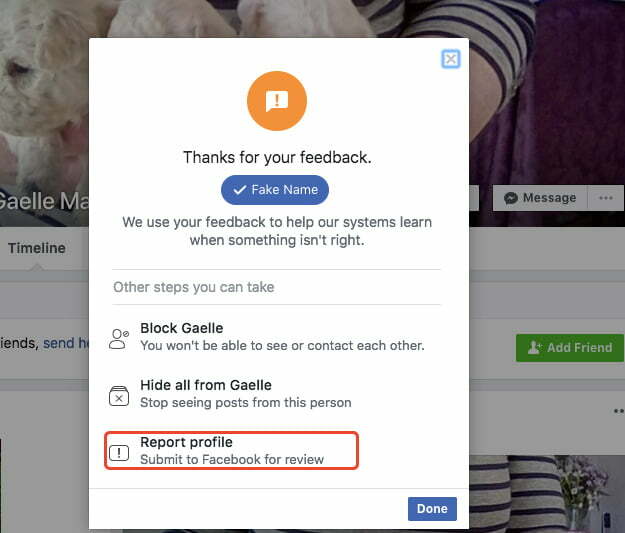 The most effective way to report a FaceBook scammer is by reporting that they are using a fake name. 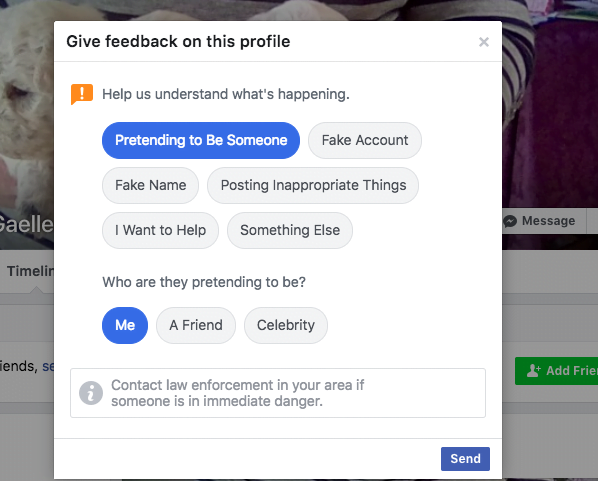 It is very useful if you are FaceBook friends with the person they are pretending to be. If the profile picture is of you, someone you are FaceBook friends with or someone famous click here. Most scammers use a fake name so you can shut down their account by reporting their name only. On the scammers profile, click the 3 dots shown next to the “message” button. This will pop up a message. Click on “Give feedback or report this profile”. 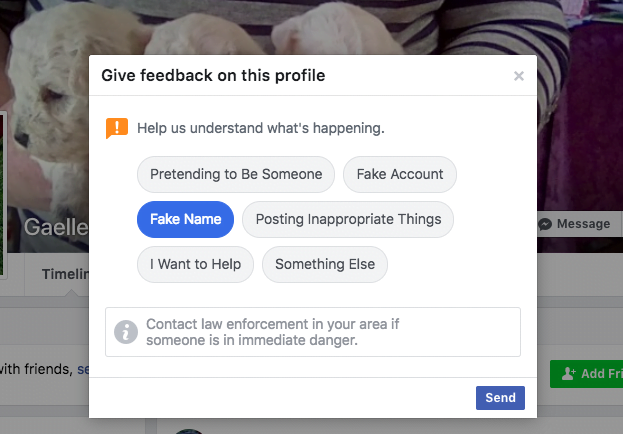 Facebook will now ask the Scammer for proof of ID and they will not be able to use their account until they have confirmed that they are using their actual name. 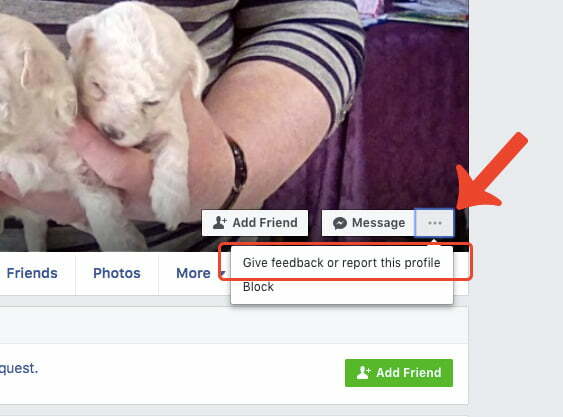 This is the best way that we have found to shut down a scammers FaceBook profile. I have reported a pet scammer on Facebook for months and nothing has happened. He even stole one of my puppy pics and has it on his page. I reported to FTC and other government agencies and know one cares. People have contacted me that have been scammed and reported it as well. All his photos and videos are stolen off breeder websites or from the internet. I reported his gmail because I have email confirmation on how he will ask for money to be sent Western Union Friend Family. How can you stop this puppy scammer ? This is how he is scamming you. Please DO NOT SEND HIM MONEY. TOTAL SCAM. CASHIER IT IS TO A FAMILY FRIEND.HOPE YOU UNDERSTAND ?